Why so much variation on how LPs sound? Discussion in 'Audio Hardware' started by 12" 45rpm, Oct 9, 2018. But, on the reissues, you suspect wrong. I do occasionally purchase them for favorite records of mine. I have been completely satisfied with all of the reissues that I have purchased so far, though there are not really that many. Sorry I was addressing the OP about the reissues. For me I listen mostly to needle drops. Based mainly to conserve hours on my cartridge. Perhaps one of the biggest improvement I made in my vinyl is upgrading to the Dynavector XX2 and based on what it will cost me to replace it it cost me between $1 & 2 dollars every time I play a record. Besides I'm certain my 24/96 needle drops sound as good as the vinyl. When you factor in the removed pops and silent gaps any nonbiased listener would agree. I am not sure reissues vs. original pressings makes much difference. I have tried that and also tried foreign pressings ( Japan/Germany ). My opinion is if the original album is "average" sounding, then any pressing will be slight variations of "average". Of course there will be exceptions. Maybe he doesn't have an ADC? Purposefully so, as you read yourself. Why does that album sound like trash? I am not sure reissues vs. original pressings makes much difference. Sorry I helped derail your thread. In reissues most possibly all with some possible exception are mastered digitally. I believe you are right some records sound great and others not so much. That just is what it is. you can do much research and perhaps you can get a better pressing or a reissue except for the digital thing. Yes but why, was he not renowned before for good work? He's always been about the performance. Typically good performances but either recorded or mixed merely adequately. Because cassette captures the magic of AAA. Once you digitize, it becomes "digital" sounding, which I do not prefer. Maybe if you're recording 8 bit / 22khz. But 24/96, or even 24/44.1k for that matter, I don't hear it. Source and recording are virtually indistinguishable to my ears. The "magic" is intact. Cassette decks are fun to mess around with (actually did this over the summer / rebuilding two of them and getting them working) but the fun would disappear pretty quickly if I used it as my daily driver for portable vinyl rips. As for your initial question, it's all about the mastering. Goes for LP's, CD's and even streaming. c-eling, SandAndGlass and nosliw like this. If the question were to be limited to various copies of the same recording I would agree with you. I would agree. If I were in your shoe's, I would definitely do the same thing. I don't have a MC cartridge, but I do have some decent MM cartridges with decent stylus'. Nothing against MC carts, but it just another avenue, that I would care to avoid, for along your same reasoning. I have somewhat of a tube fetish and that is costly enough. When you have a bunch of tube amps, and I am currently counting twelve, you also have to have a sizable investment in extra tubes, which I do out of necessity. Like extra tubes for this. I also don't want to ever reinstall or realign a cartridge ever again, that is, if I can possibly avoid it! Right now, If I want to change to a different sound signature, it takes me a minute or so to change from a 2M Bronze to a 2M Black. When it is time to replace the needle, I will order a replacement needle, remove the old one and put the new one in it's place. I could make some nice needle drops, I'm sure, that would sound like the original record. I don't have any problems with it or digital in general. I listen to streaming digital music through amplifier's like the one pictured above, every day. The primary reason that I buy "reissues" is not some sort of audiophile thing. It is because it is an album that either I previously owned somewhere about a half century ago and I do not have a single original album that I originally owned. So I am buying "new" reissues, as the original ones are mostly long out of print. But, I have also have bought NOS albums from far back as 1967 that are new and have never been opened. Ones that I like, I buy two copies and keep one of them still sealed. I have also bought new albums from contemporary artists. Still, if is recorded and mastered properly, I am perfectly fine with listening to the digital version. Listening to a lot of pops, clicks and unwanted surface noise on LP's never really did that much for me. But, I will have to say that the "audiophile" reissues that I have purchased have completely black backgrounds and so far, I have not personally experienced any quality control issues. I do have many of the albums that I have been previously gifted to be original pressings that are in near perfect condition. I have cleaned all of them by hand and placed them in new inner-sleeves. I have an original pressing (from exactly when, I don't know) of D.S.O.T.M. that is in like new condition and sounds awesome. My goal is to simply play a record of a CD. While I understand that there are many different pressings and even different international pressings that can be sought after, I am simply not all that interested in doing so. If I must continue to jump through hoops in order to simply play a decent recording, than I will pass on the album. Liam Adams, nosliw and ghost rider like this. Something else you made me think of that may help the OP. For quite a while I wasn't completely satisfied with my setup even after getting the xx2 some records didn't track well. Not until I got a "Best Tractor" they are hand made in Japan with markings etched on to a mirror specifically for my tonearm. The genius of this is the alignment marks barely 1/16 of an inch apart are for aligning the cantilever not the cartridge body. Because this is on a mirror as you eyeball the cantilever the reflection on to the mirror helping precisely align it. Toggling back and forth between the two points takes a lot of patience and a bright sunny day. I used a online oscilloscope to set the azimuth and USB microscope to get the VTA close from there I used my ears. From that point on I have no tracking issues. I even bought a 2nd tonearm and set up a ATOC9mlkll so I have 2 cartridges perfectly dialed in that I can switch in seconds. I also have a Shure V15 mounted less precisely on a original Project Debut and nothing sounds right but the XX2. I have heard people say there are cartridges that are great for rock, that may be true but for me nothing less than the XX2 will do the job. 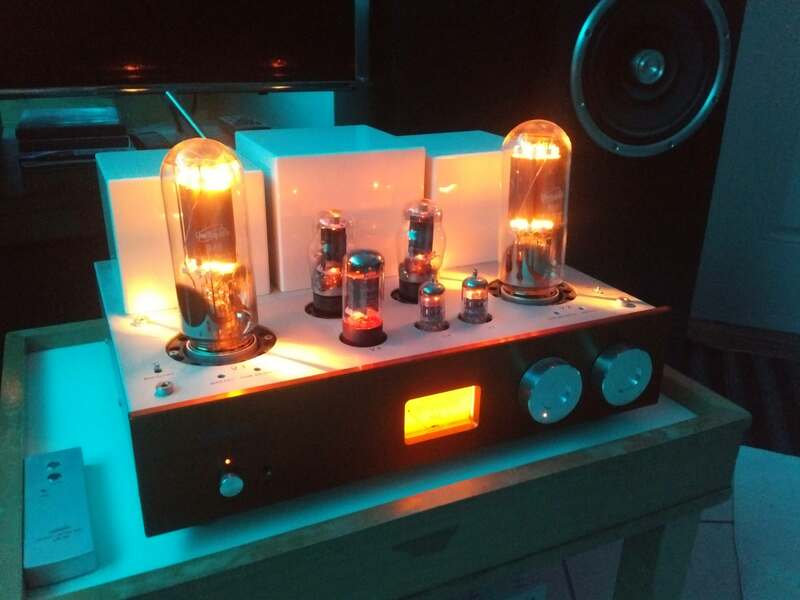 It has a lush sound and it and the vintage tubes in my preamp can be heard on the needle drops. I think the cassette medium is perfectly capable of making a good quality mixtape from a vinyl LP source - many of us did that for years, before CD-R etc. came along. I think the weak link in your chain is the Grado cartridge, and I feel you would get a much more dynamic and consistent sound from your tapes if your turntable was fitted with a cartridge by Audio Technica or Ortofon instead. Liam Adams, G B Kuipers, nosliw and 2 others like this. A lot of the LPs out there weren't meticulously mastered, they were done in a very limited time frame, with the mastering engineer making very quick decisions over EQ, as well as obvious cutting limitations - summing bass to mono, using a limiter (basically a compressor with a minimum of 10:1 ratio) etc. Sometimes the results are spectacular, sometimes they are not...like any other medium. 1/4" tape running at 15ips was the most common format that LPs were cut from in the pre-digital days, as it allowed for up to 30 mins playing time on a standard 10.5" reel (at 30ips, that playing time is halved - it was, and still is, a superb archiving and mixdown format though). Sometimes Dolby A was used, often it wasn't - NAB and CCIR equalisation, differing tape brands and output levels also have an affect on the sound. It's why I love analogue - so much variety and tonal texture to the sound. Having a more dynamic cartridge allows you to hear the best of and compensate for the not so good sounding records. McLover, 12" 45rpm and nosliw like this. This. To the OP: I think a good AT cart (VM540) would make many of the records you are disappointed with come to life. The micro-line stylus gets all of the available detail out of a record. Highly recommended. Liam Adams, G B Kuipers and Shak Cohen like this. A $260 cartridge on a $1500 TT does seem a little out of whack. Microline stylus' sound awsome when set up properly. However, they are much more sensitive to variations in set up. I had an AT OC9 ML II and now a Soundsmith Aida with the optimized contact line stylus. Both are particularly sensitive to VTA adjustment. Don't know what arm the OP has but some are not easily adjustable for VTA if at all. Minor adjustments are quite audible in playback. A simple eliptical stylus is probably easier to get set up and get a uniform sound. Ya, I have seen that. Regarding needle drops with a cassette... I haven’t listened to tapes in probably 30 years, so take this with s grain of salt. I always found that metal or CrO2 tapes were much better at recording vinyl because they seemed to have a much higher range. Yes, you’d get tape hiss with them, but it wouldn’t sound like a blanket on your speakers. I don’t even know if those tapes are still manufactured. This is the kind of information I was hoping to bring out in this thread! I understand mixing down tracks, but what exactly does mastering do? I googled it and could not quite figure it out. Is it basically adjusting levels so all tracks are close to equal? Why would EQ be adjusted? Wouldn't that be done in mix-down? How can you be so sure. Have you heard your problematic LPs on a much better system? Mike from NYC and nosliw like this. I have found the same thing. The truth is that a high percentage of Canadian and U.S. LPs were inferior in every way to those produced in England, Western Europe or Japan. This is perhaps why reason CDs caught on much more quickly in North America. Although I prefer the sound of decent quality vinyl over CDs, I generally prefer CDs to North American vinyl. I recently revisited some Canadian pressings of Beatles albums and was shocked at how bad they sound. I would take either CD issue over them any day of the week. Of course, my Beatles in Mono LPs smoke the excellent sounding CDs. No, but I've heard the same LP's on inferior systems and they sound very similiar. It would help provide some examples of records that you felt do not sound as good as you expected. As others have already stated, there are far too many variables involved in creating a record from the recording to engineering to the manufacturing aspects. delmonaco and Strat-Mangler like this.